Richard Thompson influenced the result as much as Husker Du and The Clash. Casey Neill & The Norway Rats' sound combines post-punk energy, narrative storytelling, haunting ballads, and whiskey-fueled rave-ups. 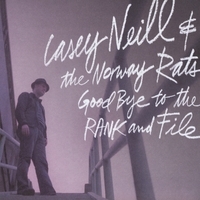 Casey Neill and The Norway Rats, including The Decemberists' Jenny Conlee as a permanent member of the band, and also featuring Little Sue, Jesse Emerson, Ezra Holbrook, Chet Lyster (Lucinda Williams' guitar player), and Hanz Araki, deliver their best album to date with "Goodbye to the Rank and File." A twelve-song collection of mesmerizing pop-rock and roots-rock songs from a cast of musicians who know the scene well, "Goodbye to the Rank and File" incorporates moments of Pogues-influenced Irish-punk with well-crafted, timeless pop songs, all melded together with earnest, guitar-in-hand rock songs. Casey Neill's second full-length with The Norway Rats, this record picks up where the predecessor, "Brooklyn Bridge," left off. Instead of being recorded at various studios and over a span of years, "Goodbye to the Rank and File" finds the band hunkering down at producer/drummer Ezra Holbrook's NE Portland-based studio and recording a record that shows the growth and power of the band, as well as a cohesive product. 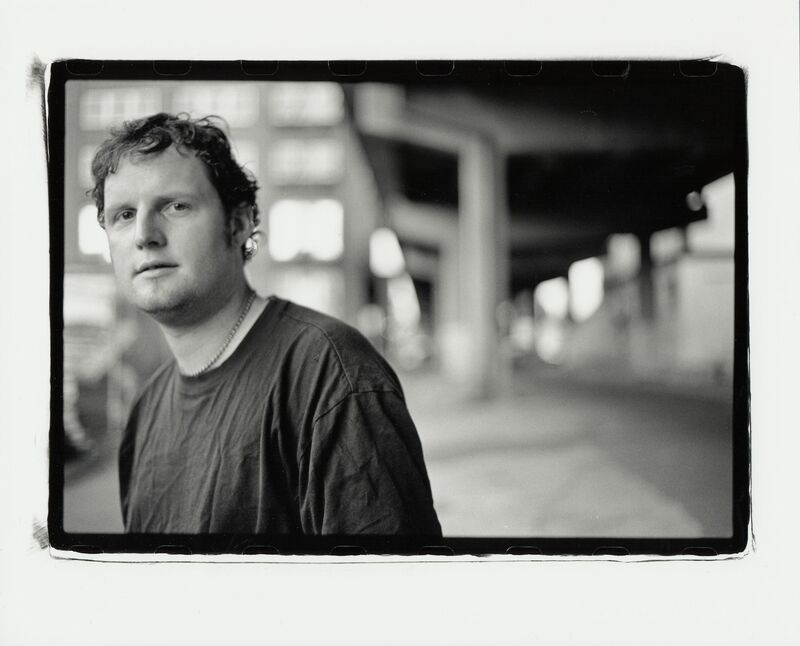 Casey Neill has records with famed folk label Appleseed Recordings and Amy Ray's (of the Indigo Girls) Daemon Records. He's toured the world several times. And befriended some of his biggest musical influences - Jello Biafra, Pete Seeger, and Steve Earle. But, for Portland, Oregon-by-way-of-New York singer-songwriter Casey Neill, his greatest accomplishment is now "Goodbye to the Rank and File." Casey Neill will be touring extensively in support of this record, focusing on the East and West coasts, where he has a modest following and strong support from venues and clubs. He's put out records with famed folk label Appleseed Recordings and Amy Ray's (of the Indigo Girls) Daemon Records. Toured the world several times. And befriended some of his biggest musical influences - Jello Biafra, Pete Seeger, and Steve Earle. 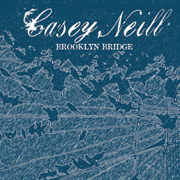 But, for Portland, Oregon-by-way-of-New York singer-songwriter Casey Neill, his greatest accomplishment is "Brooklyn Bridge². ³Brooklyn Bridge² is his new album, an album that took six years to see the light of day and features friends from The Decemberists, as well as Erin McKeown, John Wesley Harding, and Eric "Roscoe" Ambel (from Steve Earle and The Dukes). Produced by legendary Scottish fiddler Johnny Cunningham, the catalyst for the record and the reason Neill was convinced to once again approach songs with electric guitar in mind, "Brooklyn Bridge" showcases the more rock side of Neill, including appearances by members of The Decemberists (Jennie Conlee is a member of Casey Neill's band when she's not on tour with The Decemberists; Chris Funk also played on the record and has been a longtime Casey Neill supporter), among many other friends. It all started in 1995 when Neill self-released his first album, "Riffraff. Delving into the folk world with a rich, raspy voice and world-traveled stories to indulge the audience, "Riffraff" quickly garnered good press and an audience. Landing Neill a deal with Appleseed Recordings. He followed "Riffraff" up with his self-titled, Appleseed debut. Then came 1999's "Skree", also on Appleseed, produced by Cunningham. It was in the studio that Neill and Cunningham formed a friendship and an unbreakable bond, keeping in touch regularly, discussing each other's music and life. In 2001 Neill released "Portland West", a live record on Appleseed. Following "Portland West", Cunningham convinced Neill to play electric and make a record that encompassed all his influences - from The Pogues, The Clash, and New Model Army to Ted Leo, PJ Harvey, Lungfish, The Gits, Fugazi, and legends Nick Cave and Bruce Springsteen, in addition to his folk and Celtic ones. It was the beginning of "Brooklyn Bridge", a record that, when completed, would move from indie-rock to Celtic, from pop-rock to Americana, and with an earnest, punk mindset that few singer-songwriters can touch - and mean it - when weaving through various genres not only on the same album, but sometimes on the same song. But, the "Brooklyn Bridge" road would be a long, exhausting, but ultimately rewarding one for Neill. The exhausting and most devastating, and reason for the delay in completing the record, was the untimely death of Neill's friend and producer, Johnny Cunningham, who died of a heart attack on December 15, 2003. "We had 12 finished songs in 2003 and we had begun to shop it. I had moved to back Brooklyn from Portland, Oregon. Johnny and I put a band together in the city to perform the material. We played a residency at the Living Room in October of that year," recalls Neill, discussing the completion of "Brooklyn Bridge" before Cunningham's death. "Johnny passed away suddenly that December and it was devastating. Two nights before he died, we sat in our local pub, the 11th Street Bar, and he gave me a talking to about life and music and his faith in this record. It was almost like he knew he was on his way out. I recorded a few more songs and edited the project since, always trying to imagine what his calls would be." While shopping "Brooklyn Bridge", Neill decided to release "Live on 11th Street" as a homage to Cunningham, named for their watering hole of choice in New York's Lower East Side, and the last live show Cunningham would ever play. Still shopping "Brooklyn Bridge", Amy Ray came along and asked to release a record for Neill, cumulating in 2005's "Memory Against Forgetting" (Daemon/AK Press), which was a collection of demos, b-sides, and outtakes. 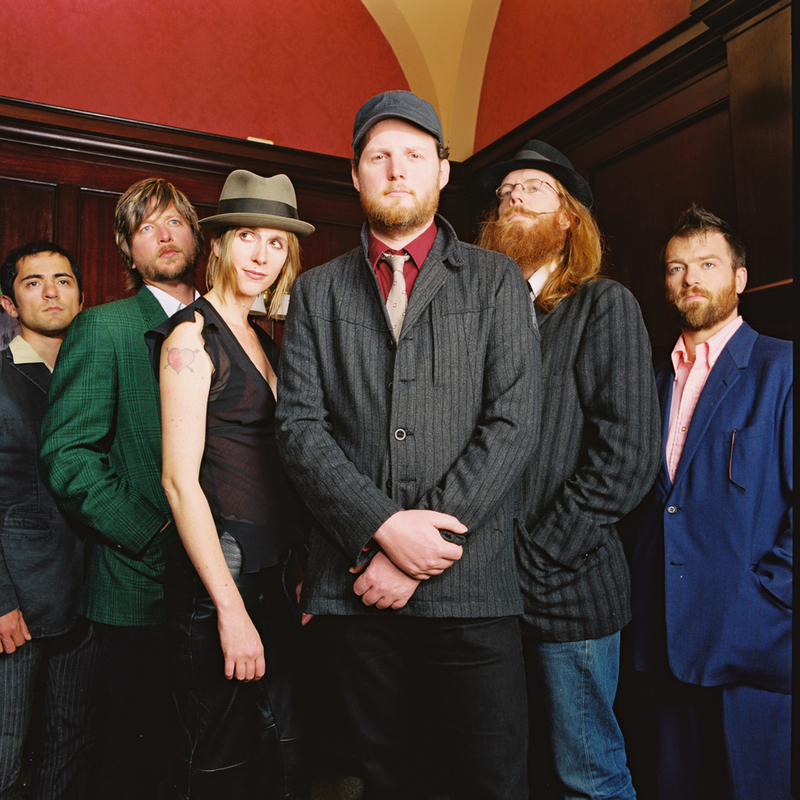 With two live albums and a compilation under his belt, and "Brooklyn Bridge" waiting to be released, Neill decided to go into the studio and cut two more tracks, the rocking "We Are The City" and the melodic, hook-laden "The Holy Land" with his friends Conlee and Funk from The Decemberists. Adding these two songs to "Brooklyn Bridge", Neill thought about Cunningham and what he would think. He finally felt "Brooklyn Bridge" was complete. "My family lived at the South Street Seaport since the late 80s, in the shadow of the bridge. The scenes in The Holy Land took place right there, too. There are a lot of songs about New York and my time there. The bridge is such an iconic image of the city it just seemed to be the centerpiece. For all the New York songs, this project was shaped and influenced by Portland and its thriving music scene. It is also a town defined by its bridges," explains Neill on the title of the album and why he felt it was so fitting for the album and the journey the album took. Fed up with shopping the album to big labels (at one point he was on the verge of signing with one), Neill passed a copy on to In Music We Trust Records, a Portland-based label that had released records for his friends, and the two instantly struck up a deal. ³When I first started talking to In Music We Trust and they agreed to do this record, it just felt right to be working with a Northwest indie label, and one that had been successful with artists I know and admire. Why didn¹t this happen years ago?² Neill will say without hesitation. Finally, six years after the record began, it had a home and was going to get released. From the title track, which opens the album, "a love song for a girl and for the city", as Neill puts it, to the rocking "We Are The City" ("another New York City anthem inspired by the underground community on the Lower East Side in the 90s"). Through the Celtic-infused folk-rock of "The Holy Land", a song that takes place in 19th century New York and tells the story of a John and a prostitute dancing in Water Street outside of Kit Burns' Sportsman's Hall, a notorious venue where rat fights took place, Neill has a knack for storytelling and engaging his audience, all while giving them something to emerge themselves into and forget their worries for awhile. "Next door to Sportsman's Hall was a brothel run by John Allen where hymns were sung in the main room. Both Burns and Allen were hated by the moral and religious establishment of the day," explains Neill about the song. One song Neill likes to talk about is "Watch For Me", a bleak break-up song, but one where the melody doesn't get lost or forgotten in the bleakness. Something that worried Johnny so, "Johnny instructed me to party 'til dawn the night before the sessions so I'd sound like hell, like Mark Lanegan, because we were concerned it was going to be too pretty". Neill also wrote "King Neptune" after Cunningham's passing and added it to the album. "I wrote the song for Johnny and recorded it with his brother Phil playing piano and accordion. I wrote it for a tribute show we did for him at Town Hall in New York," Neill explains. "The summer before he died he went to the Coney Island Mermaid Parade dressed as King Neptune." It was a long road to see "Brooklyn Bridge" through, but one that helped shape and give the record its sound. Neill is happy to finally pay homage to Cunningham once again, putting out the record he believed in so much to the world and allowing them to hear it. With "Brooklyn Bridge" soon to be released, Neill and his band are gearing up to tour in support of the record and will tour both in the summer and the fall.